Unum (formerly known as Unum Provident and First Unum) has systematically denied Unum disability insurance to thousands of policy holders in the past two decades. Unum and its subsidiaries, including Provident Life, The Paul Revere Life Insurance Company and Colonial Life & Accident Insurance Company have been subject to numerous lawsuits for illegally refusing to pay valid disability claims. Send your Unum claim to a lawyer who will review your claim at NO COST or obligation. Unum has written disability insurance policies for approximately 17 million Americans, making it the largest disability insurance provider in the US. And it has denied countless insurance claims. Unum policyholders have filed disability lawsuits—personal injury cases—against the insurance company for practicing bad faith insurance and denying their Unum long term disability insurance. Unum Denial—Am I Eligible for Benefits? If you have had your claim denied, or if your claim was granted and then later terminated, you may be eligible for substantial additional benefits. Under investigation and pressure from the Department of Labor (DOL), Unum Provident's family of companies offered to reassess approximately 200,000 claims denied or closed since January 1, 2000 for reasons other than settlement, death, or reaching benefit maximums. They were ordered to allow for reassessment, upon request, of claims similarly denied or closed between January 1, 1997 and December 31, 1999. According to the settlement, Unum accepted and reevaluated claims, whether or not the claimant was still disabled, until December 31, 2006. Nonetheless, the claims of unjust and unlawful denial of benefits continue. Provident Life & Accident Insurance Company. Relying on dubious information provided by private investigators, friends, co-workers or neighbors in an attempt to disprove a disability. UnumProvident (formerly "the Unum Group," a large Fortune 500 insurance company based in Chattanooga, TN) and its subsidiaries offer individual and group insurance programs such as long-term disability income protection, short-term disability income protection, life insurance, long term care insurance (LTCI), and voluntary critical illness insurance. Unum Provident insures more than 25 million people worldwide. Disability income protection insurance provides financial benefits to employees when they are unable to work due to a disability caused by a covered illness or injury, regardless of whether or not that illness or injury is work-related. Lawsuits filed against Unum or Unum Provident allege the company committed fraud and breach of contract. Many lawsuits stem from denial of legitimate Unum long term disability insurance claims—where the insurance company unfairly and improperly fails to compensate the insured for a loss covered by their policy, or unreasonably delays making payments due under the policy. Pennsylvania nurse claims that her benefits were not only denied, but that the Unum failed to consider the evidence that supported her claim. Jennifer Secrist v. Unum Life Insurance Co. of America, Case No. 2:17-cv-04651-RBS, US District Court, Eastern District of Pennsylvania. A policyholder sued in New York, claiming that Unum wrongfully terminated his short-term disability benefits and denied his claim for LTD. Steven Krol made a disability claim on his Unum policy when he was diagnosed with vascular dementia - a condition similar to Alzheimer’s disease. The disease is incurable and often leads to early death. 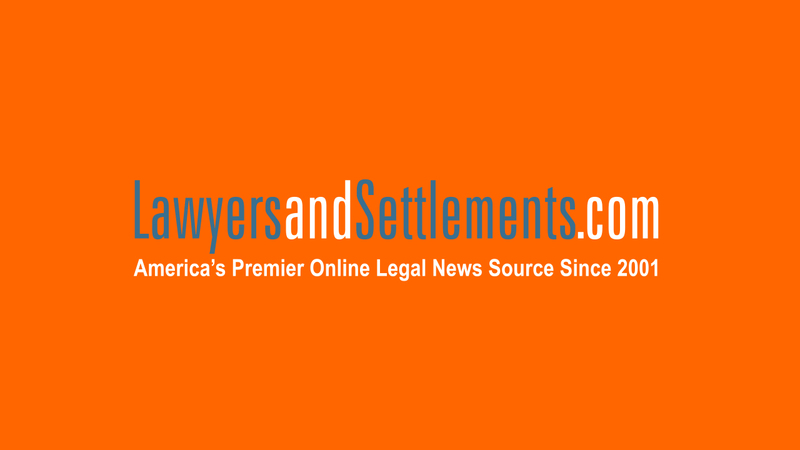 Statistics show that plaintiffs generally win higher settlement awards if they work with an expert insurance attorney. To find out whether or not you have a legitimate claim against Unum, you should speak to a Unum lawyer who specializes in disability denials. If you have had a disability claim denied, or if your claim was granted and then later terminated, from one of the companies listed above, you may qualify for compensation, even if the statute of limitations has expired. Complete the form below for a free case evaluation. Dentist Claims Injury, Unum Claims Sickness t.. Disability Claims Consultant Explains Unum’s ..
Court Orders Unum Doctor to Reveal How Much H..
Big Law Employee Sues Unum Group for Denial o.. They denied my injuries and all a sudden company moved out of location they did business in. I had on the job injury. Bilateral Carpal Tunnel. I ended up being diagnosed with EMG/NC TESTING. I had Left Hand CTS Surgery. They were going do Right Hand Later. Plus Cubital Tunnel Surgery Diagnosis. I had also C5-6 Dics Herniation also from Dring City Bus of Oakland, CA. I had a FBSS. They performed a Cervical Laminoplasty Surgery. Which did not help at all and Worsened my Neck, Shoulders, Arms, Wrists, Hands, Fingers. I also while Driving City Bus picking up 100's of Passengers driving thru about Seven different Cities. Got Grossly Over-Worked without help from next Bus Driver behind Me holding back while i picked up Numerous Wheelchairs, Gross Repetitive Leaning, Bending Awardly on knees tying down wheelchairs. Hitting various Large Potholes . whereas i Hurt my Lower Back. Sacrailiac Diagnosis. Still Injured fom this.Neck Injury Diagnosed finding called Cervical Myelopathy. They tell Me i got to live with this. I have no private Health Insurance. I forced to go on SSDI By the Neurosurgeon whom performed his FBSS. Only Medicare. Unum denied Me Long term Disability. I watched as a child my father get rung through the ringer by this company we lost our home and everything reputable because they would constantly denying his claim at least every 3 months one of his heart attack was caused by a stress test from a illegitimate doctor he was sent to by Unum subsequently that very doctor said he could work hmmmmm however due to all the stress he had to go through we lost my father at the age of 51 thank you Unum we had calls after calls about how his health was trying to get some to say he could work.he died shortly after.he had court cases due to Unum not paying on time we lost everything and he's not here to stick it to you guys at Unum its been a rough life we had to endure but there's nothing now that can be done so I again say thank you Unum for messing my and my moms life up and she also is in very bad condition and all in all I stems from Unum not paying on time or saying he can go back to work thank you for killing my father! Unum Provident denied my disability claim , disability which was filed in September 1997. I knew nothing of legal procedures except to hire attorneys. My doctors substantiated my claim of disability but Unum Provident denied my claim anyway and one reason is that there is no absolute way to confirm my mental illness except for a physician's opinion. My "new" Dallas lawyer recommended I settle despite medical opinions. I was of no mental state to make that decision -I was dependant on the attorneys for their judgement. I agreed to sign the documents he presented to me. This is 2017 and I'm still disabled and have lost everything including my family who believes I'm " crazy" and they have abandoned me totally. I live alone in filth and no hope for a quick death. But I had Disability Insurance while I was in medical practice even though I thought it unlikely I would ever be disabled. These well dressed men in suits first came to my office soon after I began my medical practice. They advised me to purchase insurance to protect my family because it was a responsible thing to do for a professional (because you never know what's going to happen) - seened logical. I didn't know I was a "sitting duck" for those greedy Insurance salesman's deceit. My 19 years spent to finally get my medical degree were squandered due to illness which I had no control over , but I first consulted a psychiatrist in 1980 after a divorce. I feel for all! I have been totally physically disabled since 2005. Started to receive UNUM LTD in 2006. Now after 10+ years they closed my claim saying my illnesses/symptoms are Psychogenic. They say in letter that my "Psych" coverage ended in 2008. And?? I've never been a psych claim and I've been receiving my benefit since 2008. I cannot believe they get away with all the crap they do. So now I've got to deal with ERISA type appeal. To top it off I'm having a hard time finding an attorney. I guess I do not make enough monthly. I'm in contact with 5+ attorneys I think. I have memory problems too so I don't even know honestly how many attorneys I've sent my info to. Ugh I hope Unum gets sued like someone said as criminal and get shut down or everyone fired or some kind of just penalty. They should have to go through a "Legit and Fair LTD CO." Claims process and be DENIED! In 2012 I was on STD. In 2013, I was on LTD and only was paid for January. I was denied my LTD disability claim by Unum even though I had a valid Dr. Note stating why I could not work. I have UNUM short-term disability through my employer. Following the recent deaths of my wife and mother over a 3 month span I was stricken with Reactive Depression. I am a software engineer and need to be able to focus and concentrate and think clearly to perform my job. I spent 2 months attempting to work through it. It was an abysmal failure. My productivity had sunk to a point where it was taking a full week to complete tasks that should have taken less than a day resulting in missed critical deadlines. In addition the quality of the work was suspect. After seeing the doctor and getting the depression diagnosis I filed for short term disability at the suggestion of our HR department. UNUM denied the claim stating there is nothing wrong with me. After a return visit to the doctor and careful explanation to UNUM about why I could not perform my job they continue to tell me there is nothing wrong with me and get back to work. I am livid with these criminals. I am seriously considering resigning from my job in protest over this (if I had not had this 'benefit' from work I would have bought short term insurance from a different company that I am confident would have paid out). With my graduate degrees and 30 year track record of performing at a high level I will have no problem finding other employment. employees that have been paying for years are not covered but they don't know this. I would love to file a class action because they failed to advise the rules had changed and deceptive sales practice. The employees think they are covered and they are paying for the coverage they don't really have. "Connie Feery on January 26, 2016" brings up an excellent point. Why is UNUM allowed to deducted our social security disability from the amount they committed to pay us when we got the policy? I went on disability in March 2003 with UNUM. They try every year to stop my benefits regardless of what SSDI and my doctors say. What really bothers me is that I paid them a premium for 8 years, based on my salary, to get 70% of my income if I became disabled they have never paid the 70% because they deduct my SSDI benefit of $1043 each month. Isn't this a breach of contract issue. I would love to find a lawyer to challenge them on this. I paid for both coverages, why can't I collect both. I was receiving benefits from UNUM for approximately 8 years when they stopped paying my benefits with statements that were flat out lies and manipulation of the data to fit their view. Similar to the Social Security and DoD tactics. I had to appeal within 6 months which is a delay tactic for them. They hope you give up! Don't!! You have to file a Federal Lawsuit which really is only a negotiation to settle for less than they owe you by law. Don't settle for less than your full amount!! It's the only action you can take against them!! Believe it or not, they can cause someone to be suicidal and they aren't held accountable in any way other than get as much as you can. Make them and their lawyer drive to the court or negotiators location as many times as possible. Make them pay any way you can. My lawyer has taken Unum to the Supreme Court and won before. I'm not settling for less than the full amount they owe me. They try to get you to negotiate many times before you reach a courtroom. Feel free to contact me if you need any information on what actions I've done to make them settle. They actually are trying to use my Social Security Award against me. Be careful what they ask from you. Treat them like the enemy because they want to stop paying you at the first opportunity they get. Even the judge you get for your lawsuit is a crap shoot. I got lucky with a good patient oriented judge who knows the tactics Unum's uses and doesn't like them. They know the law is not in the patients favor, even though it's federal. There are no repercussion's to UNUM for any action they take. No consequences and a company that rules over the outcome of all appeals, is ripe for abuse!! GOOD LUCK in your action against Unum. I bougth a policy at work, when Colonial Life agents came to work and bought a short term disability policy. Recently, I got hurt at work and called Colonial to check if my policy would cover it and they said no because the policy is for out of work injuries and they are correct. The agent also said they try and steer people away from getting policies that cover at work injuries. (?? ?BECAUSE THEY WILL HAVE TO PAY???) I called today to add a policy that will cover me at work and I was told I cannot buy one because I don't have my payment deducted from payroll. HUH????. I bought this policy from an agent that came to my place of employment. Everyone switched to AFLEC at my place of employment, I think they were right to do that. I have been out of work for a month due to shoulder surgery and have been dealing with Colonial life Ins short term disability. I feel they have been very difficult to deal with and purposely try to confuse you. When they finally sent me any money they paid me as if I was on workman's comp, even though it has been been maid very clear to them that I was inured at home and not at work and am not on Workman's Comp. all my paperwork has been turned in correctly and they even acknowledge that they have received notification from my job that I was not injured at work. They still refuse to pay me the rest of the money they owe me saying that they need more information from my surgeon's office. I'm not a lawyer, but I am very confused that they sent me any money at all if they felt I did not deserve it. I am also confused that my medical records have anything at all to do with whether or not I was injured at work. Every time I call to check thy say they are still waiting and my surgeon's office , so far, says they have never received a request for my medical information. I am starting to wonder if i should seek legal counsel on what to do. This company is evil. Plain and simple. They do everything they can to wear you down so you will give up. I have had two surgeries in the past year and both times they treated me like a criminal. I have had four doctors who performed various exams and treatments, and EVERY SINGLE TIME one of the doctors sent Unum a document, they claimed they didn't receive it. Every single document, every doctor, every time. I can understand if one or two of the faxes didn't go through, but it was an excuse I got every single time. So even though I was sick and recovering from the surgeries, I was forced to be on the phone day in, day out trying to make sure the documents were sent and re-sent and re-re-re-resent until FINALLY, Unum would admit they got them. Then, of course, they would say the information wasn't sufficient. They always say the doctors didn't put the correct information in the letters. Come on. Doctors are not idiots. They know what to say in a medical letter. They also prematurely cancel claims. I could go on and on and on about my horrifying experiences with Unum, but what I'm really on here to do is to warn people to PLEASE PLEASE PLEASE think twice before giving this company your trust and your money. The ordeal you will face is not worth it. You will regret it. Unum is the worst company I have EVER dealt with. And whenever you call them, expect to get the run-around, and expect to feel like you are talking to a robot. None of the agents that I EVER dealt with treated me with one iota of human compassion. It was always like talking to a machine. PLEASE, I BEG YOU, DO NOT USE THIS COMPANY!!!!!!!!!!!!!!! Unum denied my claim as I recovered from a procedure which did not have to do with my claim. My claim was for lower back pain, fibromyalgia, insomnia, and depression. I had a total hysterectomy during my claim and when my OB/GYN released me from his care UNUM denied my claim. Even though my claim was with my MD not my OB/GYN. My MD sent in a letter of appeal specifying this and UNUM remained denied. i was at work one day and went to file some folders and the file cabnet fell on top of me . The file caabnet was to heary in the frist place. Everyone was walking around with back problems. I went to my boss and told her that it was to heary before it fell on me and I even volunteered to come in on the weekend without no pay to rearrange the folders. sHE TOLD ME NO SEVERAL DAYS OR WEEKS LATER IT FEEL ON ME DAMMIT. i HAVE A LOWER BACK INJURY AND HAVE NOT WORKED SINCE THEN 12/10/97. ii NEVER RECIEVED ALL OF MY MONEY FROM fIRST UNUM WHOM MY COMPANY WAS INSUREED WITH. aS i READ ALL OF YOUR INFORMATION i PAID FOR STD AND HAD LTD. aCTUALLY i WAS WORKING AT THE LEARNING DISABITIY COMPANY. i HAD TO SIGN UP FOR SSd. aND THE INSURANCE COMPANY TOOK THE SETTLEMENT MONEY FROM SSD AND i LIVED OFF NOTHING FOR A LONG TIME. oNLY REASON i SURVIVED IT WAS BECAUSE OF GOOD FRIENDS AND LIVING IN pUBLIC HOUSING ALTHOUGH SEVERAL TIMES I WAS CALLED INTO THE RENTAL OFFICE IN REFERENCE TO MY RENT BEING LATE. aCTUALLY WHAT i UNDERSTAND IS THAT THEY PAID ME MONEY AND THEN TOOK MY SSd/ WHAT i CAN'T UNDERSTAND HOW COULD THE GOV'T JUST GIVE THEM OUR MONEY WHICH THEY SHOULD HAVE BEEN PAYING ME. i AM STILL LIVING OFF LITTLE OR NOTHJING AND i WORKED 33 YEARS. tHEY CHEAT YOU THE GOV'T CHEATS YOU. wHY WORK. wHAT MAKES IT SO BAD i HAVE NEVER IN MY LIFE OF WORKING EVER FILED A CLAIM UNTIL THIS BACK INJURY. sAD BAD WORLD INSURANCE IS A HUGE RIP OFF TO OUR SOCIETY. sHAME UNUM SHOULD HAVE TO PAY EACH AND EVERYONE OF US THEY GOT RICH OFF OUR ASSES BIG RIP OFF.